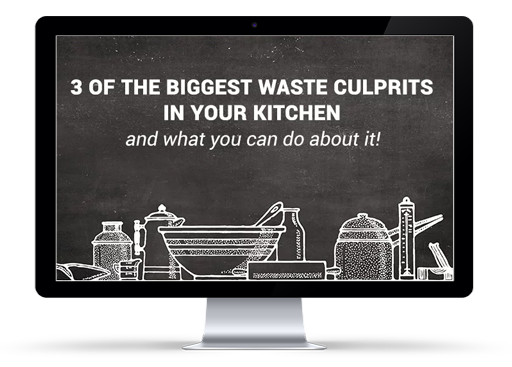 Explore three areas you should focus on today, that are very likely the top waste culprits in your kitchen. Food is often overbought and without strong practices in place to utilize all purchased food, it ends up wasted. Most chefs have engrained in them that there’s nothing worse than running out of food and facing a unsatisfied customer, and so begins the cycle of overproduction. An often overlooked solution to reducing food waste is properly fabricating proteins or prepping fruits and vegetables. Learn how to transform your operation to menu smart, use production sheets, know your inventory, and more. Explore how to transform your culture and kitchen mentality and get creative without unnecessary abundance. Gain tips to train your staff and ensure you have proper tools and processes in place to minimize waste.